The dollar traded higher for the fourth day in a row since last Friday as investors shun away from the JPY, metals and CHF and the AUD has its worst trading session in more than a month following the dovish policy expected near term from the RBA. 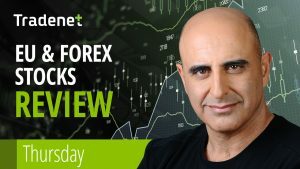 Ahead of the BOE rate decision today at noon FX markets are bracing for a stronger dollar and a volatile sterling as long as the Brexit saga is still on the table. Global equity markets traded mostly sideways and lower on profit taking following the amazing January rally in the US markets, technology stocks lost 0.4% yesterday, the first pullback after a 5 day rally. Metals traded lower on a stronger dollar and Oil went thru a choppy session then traded higher on the inventories number to close at 53.95$ per barrel. UK BOE rate decision and GOV Carney speech at 12:00 noon is the important news on the agenda Thursday.